4 Beds 4 Baths 1 Partial Bath 3,200 Sq. ft.
Meticulous Renovation Restoration by well known local developer. Top to bottom renovation restoration. First Floor has an Open Floor Plan with Gracious Proportions. Large Living Room with Floor to Ceiling Windows and 2 Sets of Pocket Doors, Decorative Mantel, Dining Room with Decorative Mantel and Extra Large Gourmet Kitchen with White Shaker Style Cabinets, Granite Counters, Exposed Brick and Original Cooking Hearth and Half Bath. All new electric, plumbing, heating, cooling and more. 2nd Floor has Large Master Bedroom Suite with Decorative Mantel, Large Dressing Room/Walk-In Closet and Luxurious Spa Bathroom with Double Vanity, Tub and Separate Shower. Front of the 2nd Floor offers a Family Room, Office or Additional Bedroom. 3rd Floor has 3 Bedrooms, 2 Full Baths. Unfinished Basement offers high ceilings and space for storage or future Club Room. 2 Car Parking Pad with easy alley access from the rear. Fenced Rear Yard for Urban Garden. 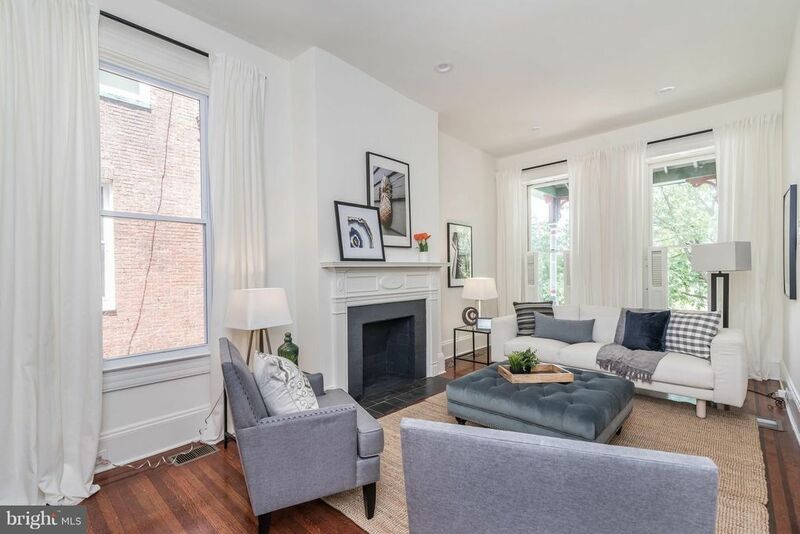 Super Convenient Location for DC Commuters to Penn Station/MARC Train, MICA, Hopkins Shuttle, U of Baltimore, Light Rail, Highways, Cafes and Shopping.